Pulumi is a tool for building cloud-native infrastructure as code using general-purpose programming languages. 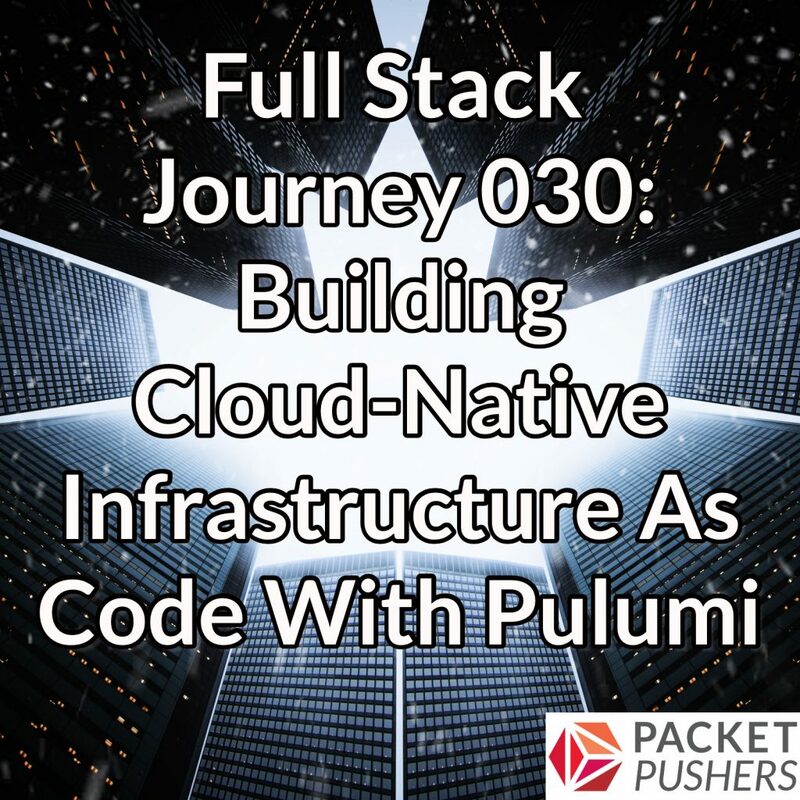 Luke Hoban, CTO of Pulumi, joins Scott on the Full Stack Journey podcast to chat about the tool. You can follow him at @lukehoban on Twitter. Why use Pulumi? Why not use existing infrastructure-as-code tools? Is Pulumi still declarative if I’m using a general-purpose programming language? What about optimizing for reusability versus optimizing for readability? Does using Pulumi make getting started with infrastructure-as-code easier or harder? How do folks get acquainted with Pulumi? Check the show notes below for hyperlinks to resources discussed in the podcast. Happy learning!